The Sidecar is a cocktail that has been on bar menus for nearly a century, and was said to be invented at the Ritz Hotel in Paris at the end of the first world war. It’s usually made with brandy, but this variation uses calvados instead. Calvados is an apple brandy from the Normandy region of France that is aged in oak barrels to give the spirit an amber color and bring in woodsy, vanilla notes that compliment its apple flavor well. Although it is made with apples, this brandy isn’t sweet and you’re still going to get the feel of a classic Sidecar – just with a few more layers of flavor. 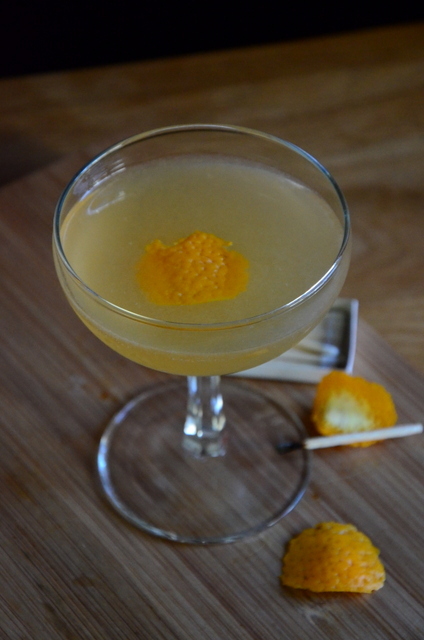 This drink is finished with a flamed orange peel, which highlights the Cointreau in the drink in addition to making a nice little show when you go to serve it. You can also flame a lemon peel over this drink, but pick a large lemon with a thick rind for the best results if you do. Pour the calvados, Cointreau, lemon juice into a mixing glass. Fill with ice and shake. 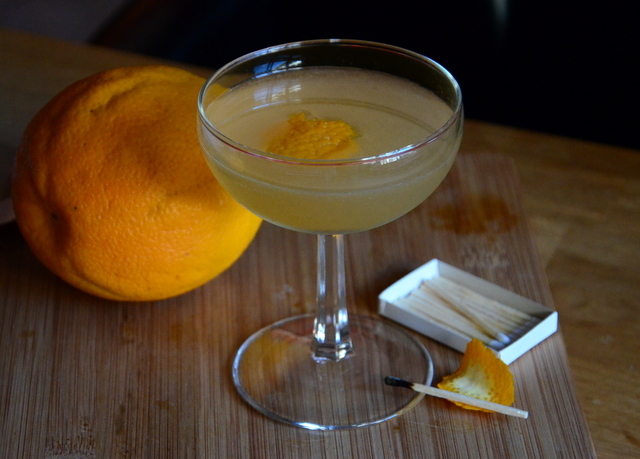 Strain into a chilled glass and garnish with an orange twist. To add a little smokiness garnish with a flamed orange peel.